I love making these so much! This is for our nephew arriving in late April. So I finally got the package sent off to Melanie- so I will be showing those things I made for the baby very soon. In the meantime, I decided to make a bunch of bibs for the kiddo. Missy kindly made a bunch for me a while ago, but I am finding that we need more now that he is slowly starting to eat solids. Here he is this evening, showing evidence of the rice cereal. He is exactly 20 weeks old today.... he's getting really big. I went to a quilt store recently to have my machine serviced and one of the ladies there thought that he was 8-9 months old! I used the pattern from One Yard Wonders and made 10 bibs (one is missing from the pic.) Very easy project and I already had everything I needed on hand. When I was in that quilt store I mentioned earlier, I got to try out the $8,000 Pfaff Grand Quilter. It was a dream!!!! 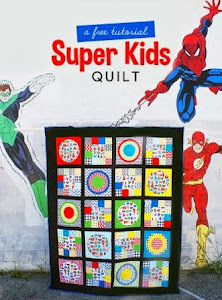 I really want to get a machine that can quilt like that someday- not just so I could finish my quilt tops easily, but also because I think I would really enjoy the actual quilting. There was a $2,000 model there too --- maybe someday! Life has been busy here - not just with baby but with sewing too. The problem with updating the blog is that I am making some things for a future nephew whose mother has been known to frequent the blog (wink, wink Melanie). I don't want to say too much, so lets just suffice it to say that I am having a lot of fun making some baby things and I am learning new techniques... More to come very soon! I have also been selling some fabric on Etsy to recoup some of the money I have spent on fabric - there just isn't enough time to do it all! Finally, a branch of a "Modern Quilt Guild" is opening in New England- the first meeting starting only about 20 mins from my house! I am SO thrilled! I can't wait- I have really wanted to make friends with people who share my interest! So I have been trying to deny that this blog is about fabric, but let's face it- I am probably more obsessed with fabric than I am with actually sewing with it.... I know that's kind of sad and it makes me feel shallow sometimes and at the very least, materialistic (pun intended). But there's just no fighting it anymore. 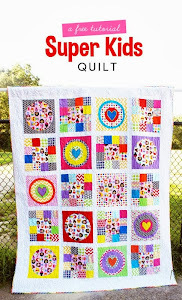 I recently read a fictional novel about a quilter who referred to women's fabric obsession as a "benign illness" - and I definitely believe it! 99% of this blog's readership are friends and family who don't sew or care to sew- but trust me, all the sewing blogs out there are all about talking about fabric and showing pictures of one's stash. Many post a weekly photo of pieces from their stash just for the reader's viewing pleasure- so I am not alone. But hey, what's wrong with enjoying something as innocent as cute cloth? I just finished a long stint of social work and volunteering abroad where I was surrounded by heartbreaking human suffering- I think I have used sewing/fabric as an escape - when life gets so serious, you need something else to give you a reprieve. So anyway, I am going to stop apologizing for my fabric posts and just do them when I feel like it- while keeping in mind my self imposed reminder to get busy using all this good stuff! This is a picture of fabric I have received in the mail from fellow sewers in an online fabric swap. It's so great because I have traded fabric I had too much of or was tired of, and got great stuff that I really wanted! Everyone's been so nice and generous- it's been a lot of fun and a lot cheaper than just buying new fabric!